One of the biggest continuous challenges in brand building and management is time efficiency. Some tasks simply require more time than others, while one strategy might not produce the kinds of results that another effort would. Ultimately, balancing time and benefit is a must-do reality of search engine optimization. When considering where to apply your efforts, it’s important to also consider what time commitments will automatically be required. 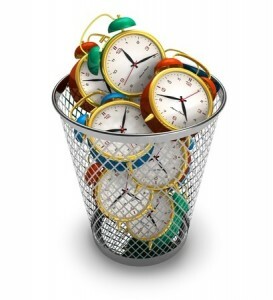 Some of these SEO efforts feel like massive time-wasters – but are still absolutely necessary. Today, let’s review some of the biggest time-wasters in SEO so you can be prepared. It can be frustrating at the beginning of the SEO process. Without any real visibility, brands have to work hard to build audiences. Without an audience, it’s difficult to generate visibility. Such a vicious cycle tends to discourage many from pursuing comprehensive SEO strategies, but those who do often use link-building in the early stages. While link building remains a viable and very important strategy, it is not a very efficient one. Many bloggers and content creators spend hours reaching out to potential influencers for links and receive no response in return. Additionally, earned links over time are generally lost when sites are moved, shut down or otherwise altered, meaning it is a constant effort of back-filling links lost over time. In terms of the amount of time spent building links and pinging servers with requests for guest posts and the like, it is often very inefficient. However, it is also necessary and therefore can’t be ignored. Content is king in the world of SEO, but gradually building a solid foundation of content for your current and future audiences can sometimes feel like a marathon. For starters, not every piece of content is guaranteed to resonate with a particular audience – if at all. Inevitably, some of your hard work will deliver very little for your efforts. Additionally, some content may ultimately be time-sensitive and not necessarily generate the kind of traffic or interest you’d like after a short time. When contrasting this to efforts such as paid digital marketing campaigns that can drive massive amounts of traffic in no time at all, the process of creating content can feel like a time-waster. Unfortunately, it is absolutely needed and is at the heart of improving SEO outcomes. One of the most frustrating things that can happen when attempting to improve SEO outcomes is to suddenly be hit with a penalty from Google or another search engine. Search engine penalties can be earned for a number of reasons, but most often happen when content is thin/duplicated or link building efforts are seen as being non-organic. The truest example of a time-waster, even a small penalty can dramatically nerf your site’s visibility for months. This in effect renders all of your hard work on improving SEO null and void (at least to a certain degree) until the penalty is resolved. Because the nature of SEO is so time-consuming and monotonous, many aspects of it can feel like wastes of time in the here and now. However, it’s important to remember that these efforts are necessary to boost visibility and attract audiences. If you’re pinging servers and search engines with this in mind, then be sure to keep focused on the long-term benefits it provides – even if it feels like a waste of time in the short-term.